I think the city has been lacking in oversize and analysis of DMC so I am trying to do it myself. At least at a high level. I can’t emphasize enough how rough this analysis is… I would also add that this is not cause to panic, we understood that we faced up front costs and only recouped our investment AFTER significant projects were done. I am trying to quantify local contributions and returns from investment in DMC. 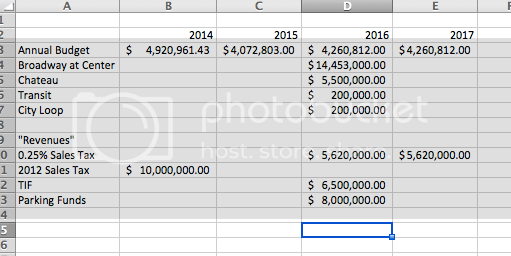 To date we have spent / committed / are likely to spend $38 million (2014-2017). The number is rough, but this analysis seems better than anything else that is public. Here is where that $38 million figure is coming from. It include 4 years of operating budgets and some projects costs. The payback that the city receives is by way of new property taxes which have not yet happened. In addition, I am looking at projects in the DMC area and trying to determine if they are caused by DMC or were likely to happen regardless. In the case of the housing projects there is nothing that has come forward that was not already happening after the renewed interest in downtown and success of the Food Coop / Metropolitan Marketplace. I really point to 3 projects as being related to DMC and only 1 of those pays property taxes.